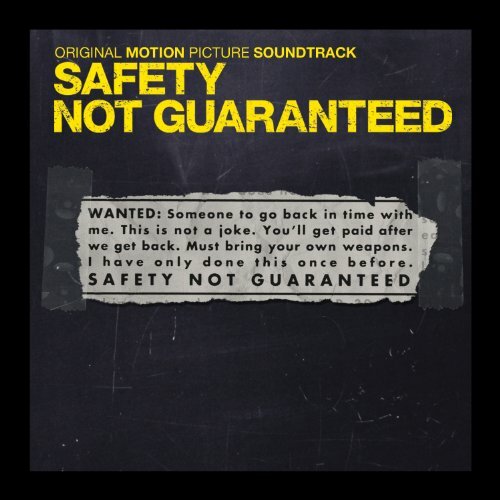 Safety may not be guaranteed when you travel through time, but I can safely guarantee that this is an excellent movie. 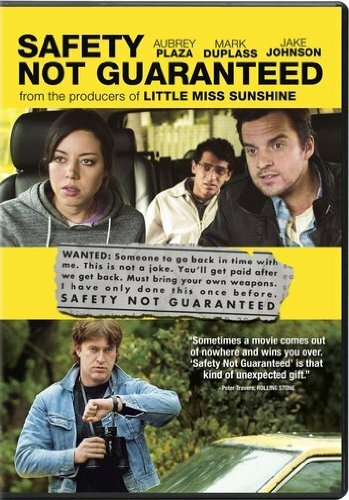 I ,on a whim, just decided to buy Safety Not Guaranteed through Amazon Instant Video. The performances are just great in this movie especially Mark Duplass (The League) as Kenneth and Aubrey Plaza (Parks & Recreation) as Darius. Mark Duplass really shows what he can do as an actor in this movie as he plays a completely different character than Pete from the League. Kenneth is introverted and highly intelligent, but also is a bit crazy in an endearing way. There is also some good side story stuff featuring Jake Johnson (New Girl) and Karan Soni (Worst.Prom.Ever.) where Karan's character Arnau convinces Johnson's Jeff to give a girl a chance even if she looks different than she did twenty years ago. This movie is just so well acted, directed (Colin Trevorrow), and written (Derek Connolly) . There is a lot of deeper thoughts and feelings especially regarding the reasons for going back in time and the relationship that forms between Darius and Kenneth. There are also some great heartfelt moments and just as many fun moments. The ending is also not what you'd expect, and it was awesome. I absolutely loved this movie, and it's the best indie movie I've seen a while. Movies like this is why I wanted to do Indie October. GO BUY THIS NOW!